Centuria has acquired a 43,000 square metre distribution centre in Melbourne’s south-eastern industrial heartland for $37 million. The deal was brokered by Dawkins Occhiuto Director Chris Jones on sharp 6.9 per cent yield. 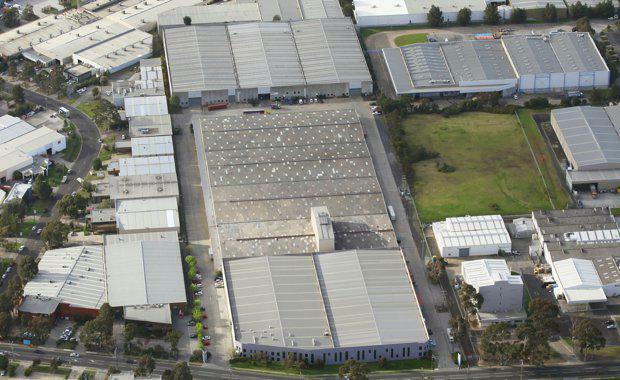 The 207-219 Browns Road, Noble Park, property was sold fully leased to four tenants including URI International, E & S Trading, Tomax Logistics and Parton Wine Distribution, on a WALE of nine years with a passing income of $2,580,583 per annum net. Located on a main thoroughfare in a tightly held precinct with excellent access to EastLink, the M1 Freeway and the Princes Highway, the property comprises seven office and warehouse buildings totalling 43,331 square metres, with full drive around access, on a 58,140 square metre site. "Industrial yields have tightened by up to 50 basis over the last 12 months and are now at their lowest point in at least a decade, and we will continue to see that tightening while industrial property offers such an attractive differentiation to other types of property investment,’’ Mr Jones said. He said the private sale had attracted a lot of interest from a wide range of local, interstate and off-shore buyers. "Industrial property is increasingly on the radar of serious investors and any opportunities within key industrial markets are now the target of forensic examination as the competition for the best and highest yielding assets intensifies. "We expect this market to continue to show strong results especially as the availability of prime stock dwindles. That situation may see owners consider taking advantage as vendor, 215 Browns Road Pty Ltd, has done here,’’ Mr Jones said. Vendor, 215 Browns Road Pty Ltd, purchased the property in August 2014 for $20.8 million from Aspen Group, representing an increase in value of in excess of $16 million in under three years or an uplift of nearly 80 per cent.